Discussion in 'Wireless Article Discussions' started by thiggins, Apr 10, 2018. Better performance since re-test, but maybe the next firmware update will show improvement. Not up to Asus standards. Beautiful design, but not functional. No mu-MIMO marketing badge? or AI-mesh? Maybe watch and wait on this product! Yes i bought one, worked for about a week. Seemed to work great. Then the entire network completely stopped -- wired and wireless, had to reset, that was on a Friday night. Then 12 hrs later Saturday morning, wolk up was completely dead again. Returned to Amazon after that. Top was warm, bottom was quite hot. Suspect this router doesn't cool properly due to unique design. 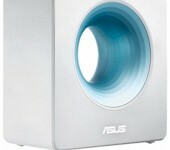 Went back to ASUS AC1900P, which is a boring choice, but least is a proven design. Same chipset. Waaay different firmware with very different feature sets. 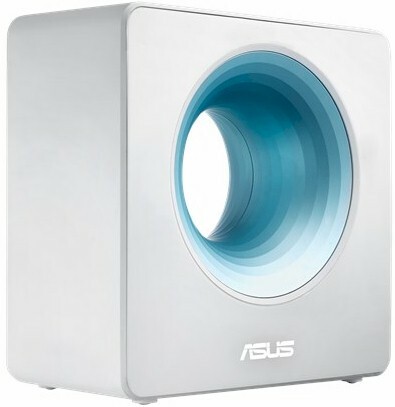 Did you get a chance to run this by the Asus folks? WiFi performance looks decent enough, pretty much similar to every chipset vendor out there. So overall a huge disappointment then after all the marketing and PR about the unique design, antenna placement and so on. It would seem that at least some of the issues should be possible to resolve via firmware update, but this is a perfect example of how way too many products ship today, half baked. 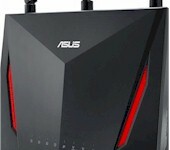 I feel sorry for Asus' support team that has to deal with the potential fallout. As I said, this is not a BAD product. It just doesn't bring anything to the WiFi party besides looking different. Not everyone needs routing throughput over 200 Mbps and its wireless performance is decent. The two Intel technology based routers are not even in the top 100 of "Amazon best seller router" list. A botched product intro. Not to be expected. The "55INTELK3C from Dec 1-31 during checkout and $55 discount" was great! Meanwhile the netgear r7800 is 15th on the list. The two Intel technology based routers are not even in the top 100 of "Amazon best seller router" list. A botched product intro. Not to be expected. It reminds me of when they used to mail us free 8088 cpu chips to develop anything. Meanwhile the netgear r7800 is 15th on the list. Why would you think two Intel based routers would quickly outsell products long established in the market? Makaveli and CrystalLattice like this. Hopefully, the expected Netgear and Deutsche Telekom routers/gateways with Intel inside will be implemented better, perform better, be marketed better, and show some kind of sales bump! The two Intel technology based routers are not even in the top 100 of "Amazon best seller router" list. The "Intel" part of it goes mostly unnoticed by the vast majority of buyers - people rarely know who manufactures the processors used in their router. 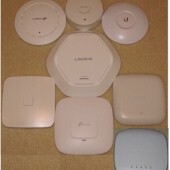 So ultimately, it's more about why a router from an unknown manufacturer and one with a very unusual design than their usual product line don't sell more? I'd say because they don't bring anything special to justify more sales. Most people outside of China never heard of Phicomm, and the Asus design is radically different from their regular product lines, and won't attract the average buyer who will look at either the price (going for entry-levels RT-N300 and such), or the visibility (going with popular RT-AC68U-based products). Wow. Mega bummers on the routing performance. It really seems like that would be a result of a mistake with the firmware, doesn't it? 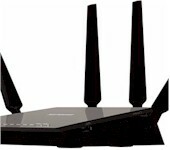 I'm pretty bummed because the router is pretty. I think my wife would leap at the chance to replace our old one with that. reminds me of when Intel used to mail us free 8088 cpu chips to develop anything. Meanwhile the netgear r7800 is 15th on the list. Tim, did you look for CPU load when running the routing tests? Merlin also asked about this. This is just a simple iperf3 LAN to WAN test. WAN to LAN was about the same. Throughput in both cases was ~ 200 Mbps. One of the computers used is not the usual testbed machine. Well, mystery solved. While running the test above I checked the LAN > Switch Control page and saw the control was Disabled. I tried to set it back to Auto and wasn't able to. But on a hunch, I rebooted the router. Voila, control set back to Auto. Throughput over 900 Mbps. CPU as below. So appears I've found a UI bug, at least with FireFox. I'll update the review shortly. Makaveli, RMerlin, CrystalLattice and 2 others like this. Wait why does the UI show utilization for CPU Core 3? I thought the CPU was just 2 cores. Updated review is up. Ranking improved only one position. But the router can handle gigabit wire speed (941 Mbps). 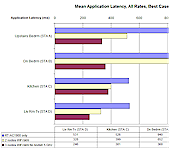 the table shows a bufferbloat score Down Max of zero. Is that right? Not sure what that means. On a philosophical level, if Nat Acceleration keeps the routing performance at full speed with all other features (qos etc) turned on, does that mean that a low CTF % really doesn't matter? I still wonder about that third CPU. So, a bufferbloat max of 0 means... there was a failed transmission?